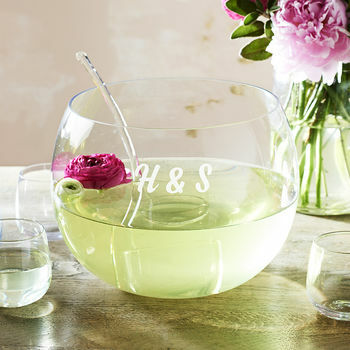 Perfect for weddings, parties and barbecues, this personalised punch bowl set is ideal for serving homemade cocktails or sangria. Why not add a date or location to commemorate a special event, the names or initials of a special couple, or enter any message of your choice to create a gift that is completely personal to the recipient. You can enter one line of text with up to twelve characters including spaces and punctuation. We will etch exactly what you enter so please double check your personalisation before placing your order, please note that the personalisation box is case sensitive. 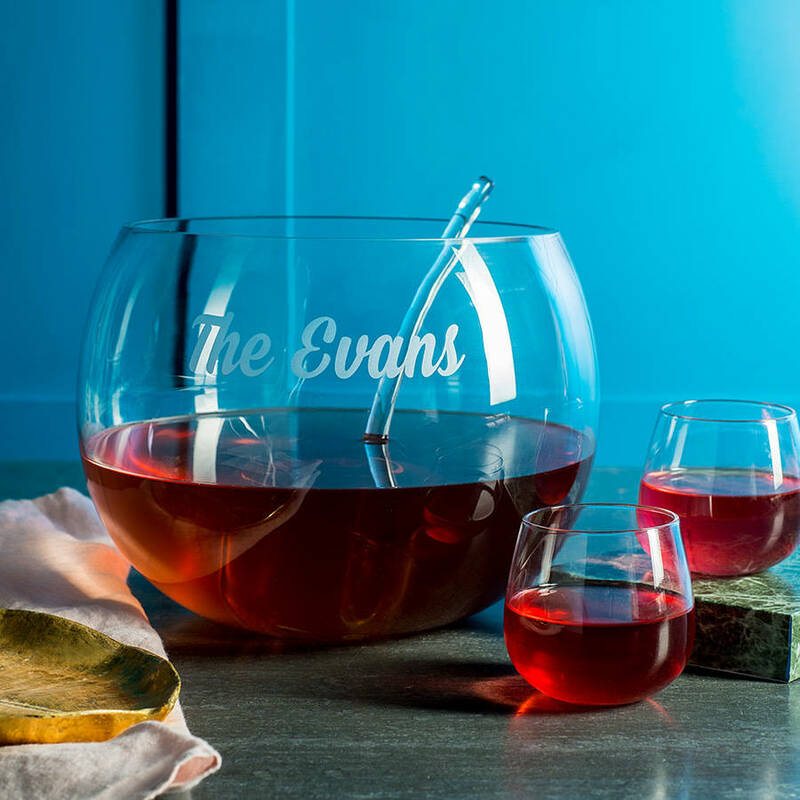 The punch bowl comes with a set of six tumbler glasses and a glass ladle. The design is beautifully etched at our studio in Liverpool. As standard, the bowl, ladle and glasses are wrapped in bubble wrap and sent in a bespoke postal box.